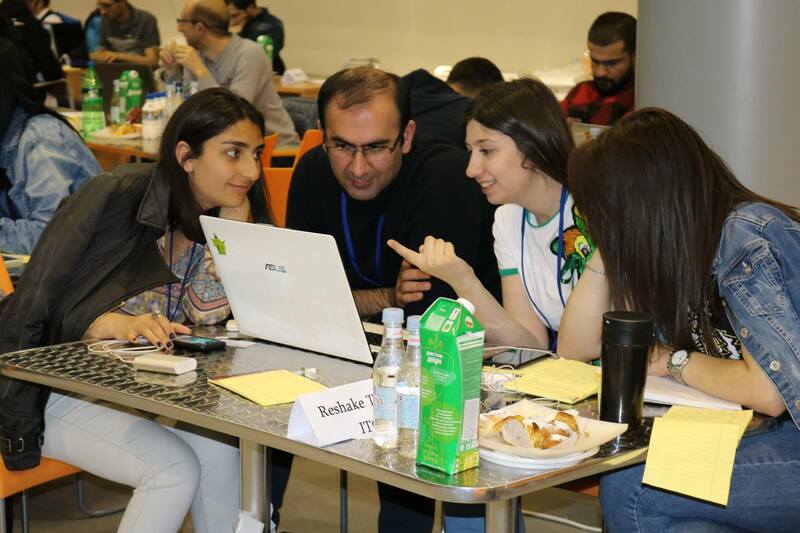 Around 50 young and enthusiastic teams gathered on 7 April at the Vanadzor Technology Centre (VTC) in Armenia’s Lori Region to pitch innovative ideas that could be turned into models and embedded in regional tourism development. The Head of the EU Delegation to Armenia, Ambassador Piotr Świtalski stressed the importance of mobilising the energy and creativity of young people to boost Armenia’s economy. “Don’t be afraid to lose, as life is about failures but also successes,” he said, adding that the EU is ready to support tourism in the country, given the strong growth potential of the sector. The best ideas pitched to the jury will be selected and awarded with prizes by the “Support to SME Development in Armenia” (SMEDA) project, the Enterprise Incubator Foundation (EIF) and Lori Regional Administration. The event was supported by the EU-funded SMEDA project in partnership with VTC and the EIF. The EU4Business SMEDA project supports the improvement of the business and investment climate for small and medium-sized enterprises (SMEs) in Armenia. It aims to strengthen the private sector, support SME coordination mechanisms, and foster links between research institutions and the private sector, as well as providing access to finance for SMEs.